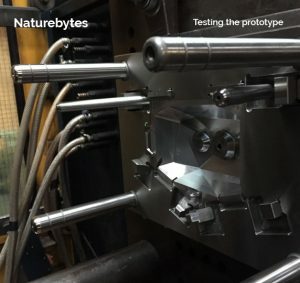 Progress update – samples and testing coming up! We have just gotten off the phone to the case toolers and we’ve been told the first case samples will be ready this week, hopefully first thing tomorrow morning (Tuesday 16th). We had wanted this update to include pics of the shiny new case samples but further difficulties with the tool manufacturing have caused delays. It has been a little while since our last update so apologies for the silence and delays, we were waiting for good news. With the delivery of the sample cases we’ll be able to ramp up from a stutter into overdrive as we reach the final stages of production and we’ll provide you with regular updates on each step of the process. We will be in the factory waiting to pick up the first samples as soon as they are produced, we’ll then undertake testing ourselves (immersion testing, shower with water etc.) before sending them to be officially IP (ingress protection) rated. Once we are satisfied with the quality of the final injection moulded cases we’ll give the green light to produce all the kits and ship your rewards. We appreciate the annoyance that the delays will have caused you but please stick with us, we are doing our best to hurry the process along and get the rewards out to you as soon as possible. Over the coming days and weeks we’ll sent you images, videos and full information on the development timeline of your Naturebytes rewards so keep your eyes peeled.